Thinking Theologically is a group that is intended to empower and encourage deeper thinking, on a theological level, through problems, situations and our reality using published theological thought to nourish our conversation. While slightly academic, and potentially abstract, the intention is to be pragmatic and realistic, learning and developing theological and/or analytical skills to applying Christian teaching and the Word of Jesus to daily life in all of its dimensions: social, economic, physical, spiritual, technological, relational and ecclesiastical. You don't have to have a degree in order to participate. Nor even have ever done any serious theological study or received any philosophical training. The goal is to be learning, expanding our horizons and asking questions of each other and ourselves. You will be expected though to have done some part of the reading or pre-gathering reflection if you are going to vocally participate. As the goal is not to receive a lesson or conviction of any one person, but rather to work through the posed question and thought articulated in our reading. That being said, you don't have to understand all of it, nor any of it, to join in the conversation. We're discussing chapter on Jesus as Black in God of the Oppressed. 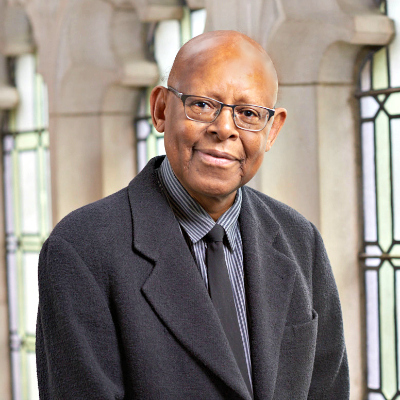 Download a PDF of the reading, with a brief introduction to the work of Dr. James Cone HERE. 1. What is James Cone saying about the way the Church has seen Jesus? The way the Church needs to see Jesus? 2. How does your vision of Jesus agree with that of Dr. Cone? How do they differ? 3. How is our notion of who Jesus Christ is, being challenged today in 2018? DOWNLOAD the Class Discussion Resources HERE for March 8th. I've found the book The Meaning of Jesus to be one of the most helpful, illuminating and thought-provoking that I've ever read on the Bible, Jesus and Christian Theology. This is in large part due to the way in which it's written: a dialogue between two theologians who diverge in their perspectives yet continue to have (have had) an open relationship dating back to their long ago days working as graduate students together. It models a different approach to theology and faith than we usually see nowadays in our zero-sum culture. Plus these two great academics can both write in a very easy to follow every day vernacular about complicated ideas. Buy & read the whole book if you enjoy it! Chapters 11 and 12 are about the Virgin Birth in the Birth Stories of Jesus in the gospels. It's a good thing to think about and through on your own. Here too are some questions for reflection. What does the virgin brith mean to you? This the virgin birth so important to the story of the birth of Jesus? What does it say theologically about the Christ Child? ; about the purpose and passion of God? The second week of Advent is organized around the theme of Love. A word commonly used in our language, yet it is also quite foreign. In a series of sermons, collected together to form a book called Strength to Love, Rev. Dr. King talks about the depth and expanse of love rooted in our experience of the God of the Bible as love and as the person of Jesus of Nazareth as that very love incarnate - taking on flesh, becoming human - showing us a new Way to live. This PDF is chapter 4 of this book (the first book of sermons of an African-American pastor made widely available to a white audience) which talks of aggressive love: the love of Jesus on the cross which opens our eyes to our shared need for forgiveness, call to renounce vengeance, and import to recognize our blindness, complicity and the power of love over evil. LINK to chapter 4 of Strength to Love by Rev. Dr. Martin Luther King Jr.
At Christmas we reflect on the story of the Nativity and the Incarnation. This Advent Season you can read some pages written by the German Theologian Jürgen Moltmann on the ontology (how we understand the being, existence and relationships) of Jesus born of the virgin Mary in the manger. The PDF has some word definitions inserted into the reading, as well as some reflection questions after the relevant pages. 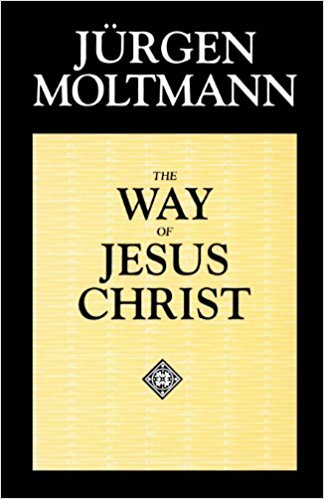 LINK to Selected page readings of Moltmann's work The Way of Jesus Christ. Our text-driven discussion will circle around the theological foundation of the thought of French Reformer John Calvin, the founder of the Reformed Tradition, which became our Presbyterian Church (USA). His theology is based upon the foundational affirmation of the sovereignty of God. PDF of Book 1 Chapter 16 of the Institutes of the Christian Religion. John Calvin 1551. PDF of Chapter 3 of Calvin for Armchair Theologians. Christopher Elwood (Author), Ron Hill (Illustrator), 2002. The word “sovereign” means principal, chief, supreme. Hence the sovereignty of God means that God has total control of all things. This sovereignty is beyond time over all things past, present and future. It implies that nothing happens that is out of God’s knowledge and control. All things are either caused by God or allowed by God for God’s own purposes and through the divine perfect will and timing (Romans 11:36; 1 Corinthians 8:6). How do you agree or disagree with John Calvin about God being sovereign? How have you experienced that in your life? What does God being sovereign imply for our own agency (the power and importance of our actions)? How are you a Calvinist? How are you not? What does that mean for you? How do you understand God's sovereignty in the light of contemporary thinking and worldviews such as Chaos Theory and Multiverse Theories? What do you mean when you confess that God is in control, such as the affirmation we confess each Sunday at the end of worship when we say aloud, "God is good. All the time. And all the time. God is good."? John Calvin, born Jehan Cauvin: 10 July 1509 – 27 May 1564) was an influential French theologian, pastor and reformer during the Protestant Reformation. He was a principal figure in the development of the system of Christian theology later called Calvinism, aspects of which include the doctrines of predestination and of the absolute sovereignty of God in salvation of the human soul from death and eternal damnation, in which doctrines Calvin was influenced by and elaborated upon the Augustinian and other Christian traditions. Various Congregational, Reformed, and Presbyterian churches, which look to Calvin as the chief expositor of their beliefs, have spread throughout the world. Following his return, Calvin introduced new forms of church government and liturgy, despite opposition from several powerful families in the city who tried to curb his authority. During this period, Michael Servetus, a Spaniard regarded by both Roman Catholics and Protestants as having a heretical view of the Trinity, arrived in Geneva. He was denounced by Calvin and burned at the stake for heresy by the city council. Following an influx of supportive refugees and new elections to the city council, Calvin's opponents were forced out. Calvin spent his final years promoting the Reformation both in Geneva and throughout Europe. Our text-driven discussion will circle around the theological conundrum posed in the work of Danish philosopher Søren Kierkegaard who first articulated the “leap of faith” expression. was a Danish philosopher, theologian, poet, social critic and religious author who is widely considered to be the first existentialist philosopher. He wrote critical texts on organized religion, Christendom, morality, ethics, psychology, and the philosophy of religion, displaying a fondness for metaphor, irony and parables. Much of his philosophical work deals with the issues of how one lives as a "single individual", giving priority to concrete human reality over abstract thinking and highlighting the importance of personal choice and commitment. Some of Kierkegaard's key ideas include the concept of "Truth as Subjectivity", the knight of faith, the recollection and repetition dichotomy, angst, the infinite qualitative distinction, faith as a passion, and the three stages on life's way. Kierkegaard's writings were written in Danish and were initially limited to Scandinavia, but by the turn of the 20th century, his writings were translated into major European languages, such as French and German. By the mid-20th century, his thought exerted a substantial influence on philosophy, theology, and Western culture. Notably, he wrote: "Science and scholarship want to teach that becoming objective is the way. Christianity teaches that the way is to become subjective, to become a subject." While scientists can learn about the world by observation, Kierkegaard emphatically denied that observation could reveal the inner workings of the world of the spirit. introduction to Kierkegaard adapted from the Wikipedia Entry you can find [HERE]. The parable of the King and the Maiden. [PDF DOWNLOAD]. Watch a video version of the parable below. An excerpt from Training in Christianity and the Edifying Discourse.